This package includes all pick up/drop off & transfers, (shuttle service + fast boat from Bali or private land transfers + speedboat transfers from anywhere in Lombok), hotel on gili island, breakfast, tax, etc..
Make your travel planning easy, fun and stress-free. Tell us what you would like to do and where you would like to go and we will prepare an itinerary and a quote for you that exactly matches your preferences. 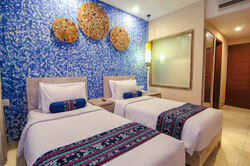 Early pick up from your hotel in Bali (06.30 - 07.00 am) by share shuttle service provided by Fast Boat Company, transfer to the embarkation point in Bali (Padang Bai). Check in and get on board. 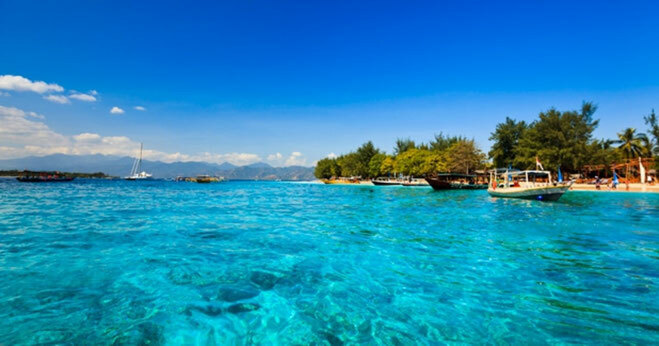 At 09.00 - 09.30 am, depart from Padang Bai, cruising by fast catamaran boat approx 2 hours direct to Gili Island. Upon arrival on gili island, walk 2 minutes to your hotel or ride a horse & cart to your hotel, check in and free on your own leisure. 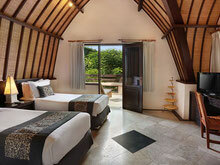 Check out from the hotel, get on board, depart from gili island by fast boat in approx 2 hours. 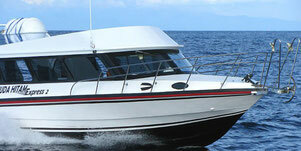 Upon your arrival in Bali, the fast boat company will provide shuttle service (sharing) to your hotel in Bali. End of program. 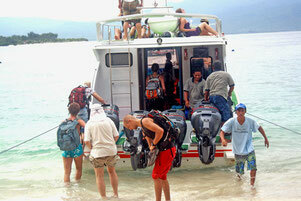 > Return Fastboat tickets from Padang Bai (Bali) to gili island (Lombok).